forum.419eater.com :: View topic - Happy Birthday Dora...at least that's what Facebook showed! 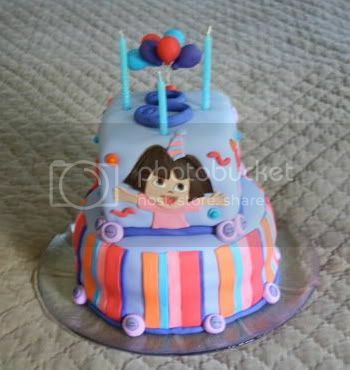 Happy Birthday Dora...at least that's what Facebook showed! Happy Birthday! Hope you're enjoying it or will enjoy it this weekend. Quick, where's Corona with the ice cream!!!!!!!!!!! Have a Corona for me, I not drink thru the week. Happy birthday! A gentleman never asks a lady for her age so i won't. Wow. To think a hospital let Dora into the world in 1922. We've been doomed ever since. So! She's younger than you then Craig? Mentally, no. But then again I've found my coffee table more interesting. Happy Birthday Dora, I'll protect you from that meanie Craig. Just because you have actual photos of what killed the Dinosaurs, doesn't mean he can rub it in your leathery old face. Here is a picture of what I bought you. I believe I will be shipping it through some courier site I found on here. I want a jet-pack!!! It's true!! Whether its your birthday or not Dora, its a good excuse for cake! Dora? Hello? (Is this mike on? TAPTAPTAP) HELLO??? Can you hear me? Something's not working. Would one of you AV guys check the amplifier? I don't think she heard us. Happy (possibly fictious) birthday Dora!! @NN: Coffee tables ARE interesting. The coffeestains on mine seem to predict the future. Every day is Happy Birthday, Dora Day. Have a nice one(s) young old dancing partner! Champagne strawberries and the Chips for you I'd say?! Thank you everyone for the birthday wishes!! I had a lovely FB birthday! Badgerbait : Thank you for starting the thread for me. irish , MoP, Connie, the vampire, and HH: Thanks for the wishes! Corona :Thanks for the ice cream sweetie! Juan: Yes, your mic is on. I heard you all the way in Mississippi. Come up to my attic and I will tell you how old I am. Craig : FU, sweetie. You know I love ya! NN: I am sure you sent the Jet Pack A11-Star, right? MBL: How did you guess honey? The Bear Jew : A wonderful cake. I love it! Dutch-baby-honey : I don't care for Pimm's anyways. I prefer a nice cold MGD. Slap: Thank you, sweetie. You are the best dance partner I ever had (on Sundays, anyways). devil_woman : YUMMY! Thank you! Does this mean I won't get a thread on my real b-day? WTF???? You mean a whole thread was devoted to your unbirthday? I thought you were Dora, not Alice! Hmmmmm, an unbirthday. I love it!! Are you saying I am not special enough for an unbirthday, Juan?? ?